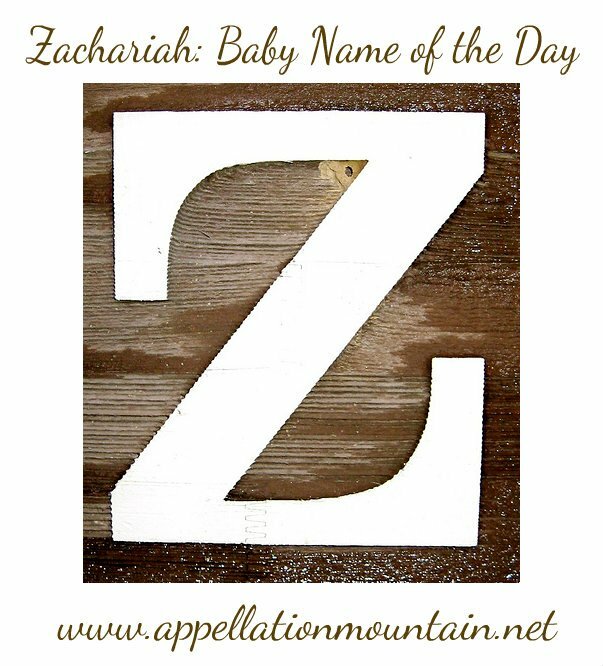 Take two parts Zachary, mix with a healthy dose of Biblical favorites like Elijah and Isaiah, and what do you get? Why, our Baby Name of the Day, of course. Thanks to Colleen for suggesting Zachariah. Just as Margery and Cecily were the preferred feminine forms of Margaret and Cecelia in the Middle Ages, Zachary became the common version of the Old Testament Zechariah. Other forms include Zacarias and Zacharias. His meaning has appeal: God remembers. 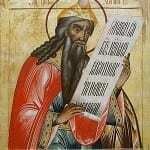 There’s more than one Zechariah ancient days. John the Baptist’s pop was a Zechariah. There’s also the Old Testament Book of Zechariah, written during the Babylonian exile. And there’s a monument in the Old City of Jerusalem known as the tomb of Zechariah. Supposedly he was martyr stoned for defending his faith. The only trouble is? The tomb is solid rock, so if that Zechariah lived and died, his final resting place is unknown. The Kingdom of Makuria – today located in modern Egypt and Sudan – was ruled by Zacharias I in the eighth century, and Zacharias III about a century later. Pope Saint Zachary was head of the Catholic church in the 700s. In English, ancients named Zachariah are often referred to as Zachary, making Zachariah tough to trace. The -iah ending was out of favor for centuries. Even the Puritans preferred the -y ending. The twelfth president of the United States was named Zachary Taylor, which seems to put Zachary in the company of classics like George, John, and James. Believe it or not, Zachary has only ranked in the US Top 1000 since 1946. Since he was a Top 20 pick from 1992 through 2003, and still ranked #64 in 2011, we tend to think of him as a solidly established choice. Zachariah first appears in the US Top 1000 in 1972, a rediscovery clearly influenced by Zachary’s rise. Zachariah peaked in the 1990s in the 300s, and ranks #465 today. Zechariah has also charted since 1986, ranking #715 in 2011. A 1971 film was titled Zachariah. It was very loosely based on Siddhartha, but set as a musical Western, and billed as the “first electic Western.” The soundtrack featured Country Joe and the Fish, who also played a gang of robbers in the flick. 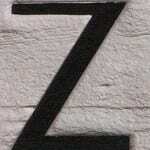 A 1976 young adult novel set in a post-apocalyptic world was called Z is for Zachariah. I haven’t read it, so I’m puzzled – the main characters are named Ann and John, so I’m not sure how Z fits in. While Zachary is mainstream, Zachariah feels more overtly Biblical. That shouldn’t be a problem circa 2013, though. Noah, Elijah, Isaac, and Isaiah are all mega-popular picks with Old Testament ties. A host of other possibilities with prominent z sounds: Zander, Zayden, Cruz, Lorenzo, Izaiah, Enzo, Zackary, Hezekiah, Cortez. So where does that leave Zachariah? Now that nickname Zach – and Zack and Zac – are approaching dad name territory, parents are embracing Zeke and other Z options. If you’re looking for an Old Testament name with modern flair that likely isn’t headed for the Top 100, that makes Zachariah a safe choice. Thank you for writing about Zachariah! My internet wasn’t working this morning so I almost missed it too. I’m glad I had a few minutes this afternoon to visit. Our little Zachariah is due in May. Even though it’s probably not wise, we’ve told his name to all of our families. So far, everyone has liked it (or has not said otherwise to us). My husband suggested Zachariah years ago and the more I thought about it, the more I loved it. The meaning is beautiful and I just love the sound of it. I thought about using other nicknames, but Zach is just so easy and falls off the tongue that there’s probably no avoiding it. No matter what though, he’ll always be Zachariah to me. P.S. Our Zachariah’s middle name will be Tom. Not Thomas, just Tom. It’s in honor of my grandfather. Oh, I love the sound of Zachariah Tom! Classic, but still very unexpected. There a Zechariah, in my teen’s class. It’s kind of interesting amongst all of the Zacharys and Isaacs, but since almost all of the kids still end up with the nickname Zach, even the rare variants have lost their freshness. I know of brothers (middle school aged) named Zachariah and Ephraim. I like Ephraim better but it’s a nice sibset.